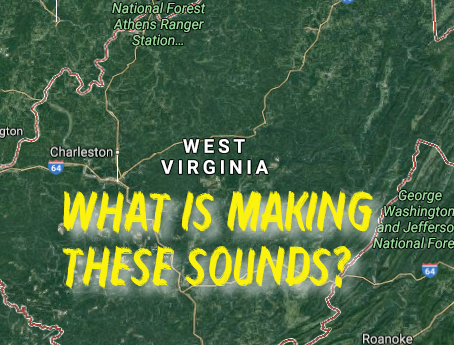 These odd sounds were recorded in West Virginia very recently, by Wyatt Zombro. Wyatt is a young budding bigfoot researcher. Him and I have been talking for about a month or so, and he shared his recording with me. 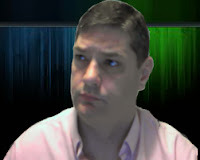 I have attempted to enhance the sound, the volume was really low, in an effort to hear the sound better. Wyatt told me he did not know for sure what was making the sound. Over the last month Wyatt has shared several pictures with me of possible stick formations. 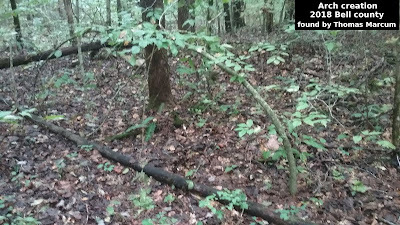 After viewing them, I thought to myself, if I found those, I would know there were bigfoot in the area. So I do think he has bigfoot in his area. So could this recording possibly be a bigfoot? I really don't know. Have a listen and see what you think. If you would like to hear the complete video, then please head over to Wyatt's Youtube channel by Clicking Here! If he has not uploaded the complete video yet, keep checking. A special thanks to Wyatt for sharing his recording with all of us. Sometimes nature can make such sounds thanks to light and other noises that it seems as if this sounds a mysterious and unknown creature up to this moment.